Tuna salad can put together in a jiffy, but if you want to save time and serve it later, this recipe can be made ahead and chilled giving the flavors more time to blend. In medium bowl, combine tuna, egg, celery, pickle, mayonnaise, lemon juice and lemon pepper seasoning; mix well. 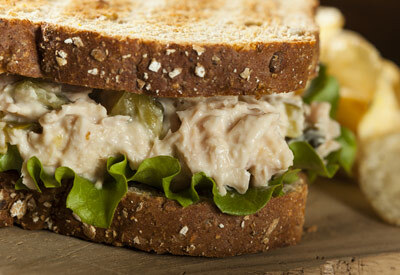 Line 4 slices of toasted bread with lettuce, top each with 1/4 tuna mixture and top with the remaining bread.